I found these lovely yellow beans at the farmer’s market the other week. They soon found their way to my table dressed in sauteed garlic, olive oil and balsamic vinegar, and topped with fresh basil. Lovely! This is the type of dish that showcases fresh, local vegetables. It’s simple to make, very flavorful, a filling side dish, and packed full of important nutrients. Green beans are plentiful right now in our area. I want to take advantage of them being in season while I can, so this dish is sure to grace our table again! This recipe is easy to change around to suite your taste. Other fresh herbs would be wonderful as well. Make sure you add adequate amounts of sea salt (it brings out all of the flavors). Your raspberry coconut milk ice cream looks so good. We may try making that in a week or two! Kimi, a family favourite of ours for beans is to steam them lightly, before tossing them through some tamari and sesame oil. Then toast some almond flakes and scatter across the top before serving. Yummy! Thank you for your bean recipe – I love them and am always looking for new ideas!! This blog is a great reference for me as I just began the gluten free journey! It seems you have many great recipes and I love the heart behind what you are doing. I am very familiar with your brother-in-law’s blog (josh harris) and would love to add you to my blogroll. Great, healthy, simple recipes are sometimes hard to find. hmmm. i’m not sure if the first comment posted. I’m not seeing it. Welcome! 🙂 So glad you found me (isn’t it funny how we end up one place on the blogosphere and end up finding other blogs?). 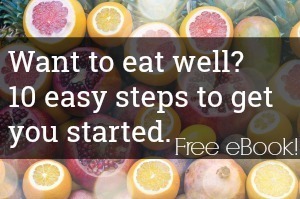 It is actually not as hard as it might be if I wasn’t already familiar with healthy eating. The biggest thing is just realizing how many foods have hidden gluten and I’m actually very thankful for this gentle thrust from the Lord back toward eating that isn’t as removed from it’s origin. I just finished my first batch of gluten free peanut butter cookies and they were pretty good! And no reaction…so nice. Anyhow, I’ll be trying some of your recipes and I’ll let you know how they turn out! Wow, those beans looks fantastic! Thank you so much for sharing. I will be trying this recipe soon. I just bought 3 lbs. of green beans. I must have known I would come across this recipe. I picked some fresh yellow beans from the garden today. I googled for a recipe, found yours, cooked it up, and they were absolutely delicious! There were no leftovers, everyone ate them up! Thank you so much for sharing! Hello, we just finished eating the aforementioned green /yellow bean recipe. I used frozen(from last years garden), and they were great, abit soft, but thats to be expected…..a keeper recipe. The taste is great!! This was so great! I stumbled upon your site and had some perfectly ripe yellow beans fresh from the Eastern Shore of Maryland and the recipe was AMAZING!! I did add just a touch of honey too! Delicious!!! Bought some yellow beans at the farmers market yesterday and was looking on the internet for a healthy recipe and came across this recipe. OMG – these were sooo good and so easy to make. Made them last night and making them again tonight! I persused though your recipes and they all sound so yummy that I can’t wait to try some more! Thank you for sharing!! 6 yellow beans were plucked from the garden this morning. They’re the first I’ve grown, so I’ll give your recipe a try this afternoon for lunch. Thanks! Tried this tonight and was pleasantly surprised. Didn’t have any fresh basil, so am off tomorrow to the market for both basil and more beans!! Glad I stumbled onto this site, bookmarked it for future finds! Feeling tired of yellow beans… But this recipe gave new life to a large harvest of beans! Loved this recipe, garlicky, basil (from the garden) and maintained nicely with a schedule gone wrong! Awesome at room temperature. Thanks for the inspiration! This recipe is awesome. This is a wonderful way to give those simple beans so much flavor. Will keep in my favorite recipe book.